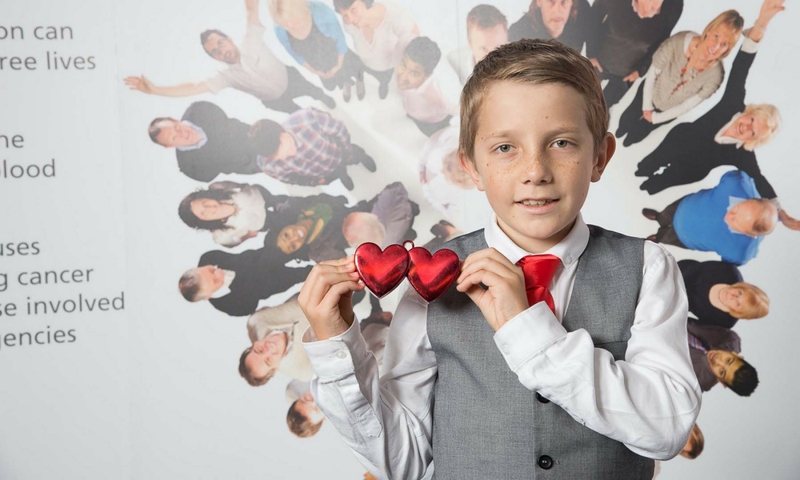 Archie is one of only a handful currently known worldwide, with Sideroblastic Anaemia! On Friday 23rd February, Swaffham & District Lions Club presented a cheque for £500 towards Archie’s Bone Marrow Transplant journey. Volunteers from the Lions club very kindly took time out of their busy schedule to present Archie with a cheque for £500. We are so overwhelmed with the support we’ve had over recent weeks, I can’t begin to express how much we appreciate the generosity within our community. We would like to say a huge thank you to the Lions and Lionesses at the Swaffham & District Lions Club. In a recent interview with the Eastern Daily Press, Archie’s campaign is reaching out to the whole of Norfolk. Archie’s Bone Marrow Transplant – gofundme campaign launched! Archie is finally looking towards a bone marrow transplant this year after waiting for so long. To help raise awareness and support, a gofundme account has been created which will support Archie and his family through the difficult times ahead. To join the campaign click on the image above or follow the link below. Pupils, staff, parents and carers from across 22 academies joined together at ATT’s third pupil awards on 7th December 2017 in a ceremony hosted by Diversity’s Jordan Banjo. Archie receiving bravery and courage award, presented by Diversity’s Jordan Banjo. Over 80 pupils were rewarded for achievements in twelve award categories including academic excellence, charity fundraising, leadership and a new category for 2017 Further Education. Nominated by their teachers, pupils received their awards from Jordan and enjoyed a special event held to recognise their talents and achievements. Every winner was praised for their dedication, conscientiousness and inspiring attitude towards life and learning. The awards also included performances from Bristnall Hall and Caldmore Primary Academy choirs and a solo performance from our Creativity Award Secondary winner Abbie Aleksic. Through the awards, the ATT family recognise and celebrate pupils who have been courageous in transforming their lives, ambitious in achieving their goals and relentless in demonstrating exceptional personal qualities. By working closely with our family of academies, ATT aims to give every child the best chance in life and these awards show how, with our support, pupils are striving to be the best they can be.